We’re launching a new Priority page in Drive as a new way to help you stay focused and get work done. This page will help you access the files you need through a combination of suggestions and workspaces. 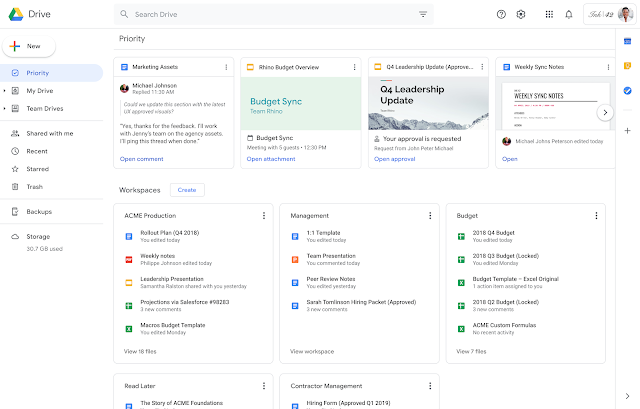 With the new Priority page, not only are the most relevant files served up to you, but you can take action on them, as well as sort them into workspaces. We hope this makes accessing your most important files easier and helps you work more efficiently. If users would like to make Priority their default home page, they can do so in their settings, which is accessible via the gear icon in the upper righthand corner. Rapid Release domains: Extended Rollout (potentially longer than 15 days for feature visibility) starting on March 18, 2019. Scheduled Release domains: Extended Rollout (potentially longer than 15 days for feature visibility) starting on April 1, 2019. 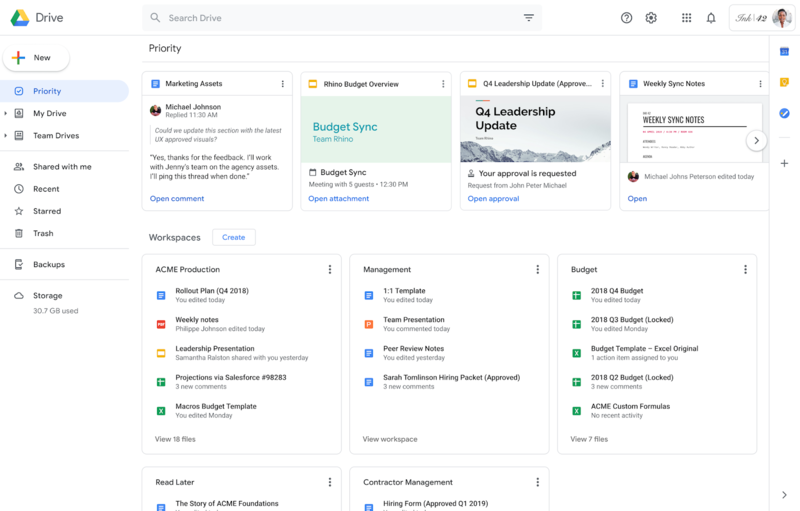 Available to G Suite Basic, G Suite Business, and G Suite Enterprise. Coming soon for G Suite for Education, G Suite Enterprise for Education, and G Suite for Nonprofits.